Welcome to the city of Red Nose Day love. 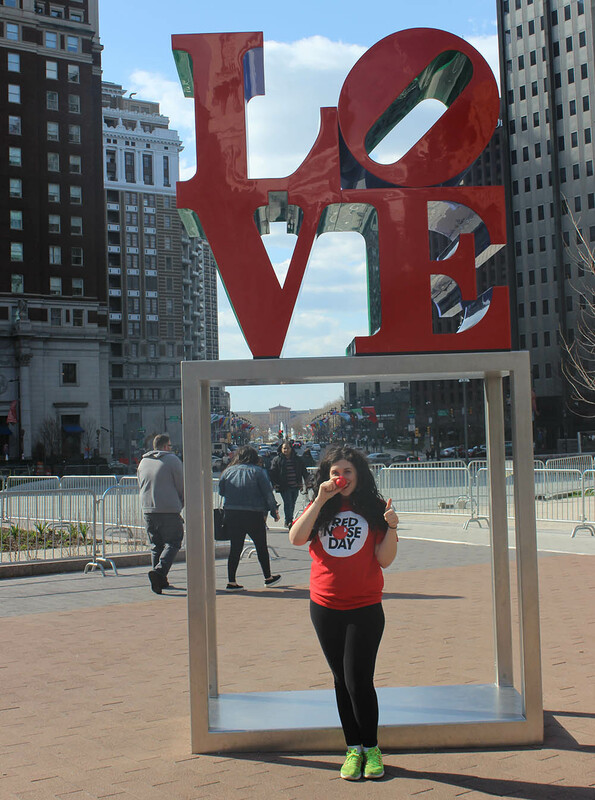 As we gear up for Red Nose Day, we'll be hosting and highlighting events throughout Philidelphia. "I support Red Nose Day because I want there to be equality for all children across the world. Everyone has the right to live a beautiful life!! I love that Red Nose Day uses the power of fun and positive energy to help a cause that is perceived as so heavy. I love making an impact and helping others be the best versions of themselves, so let's come together for a great cause! Community Coordinators help people around the country get involved with Red Nose Day in their city. To get involved with Marissa in Philadelphia, join the Red Nose Day in Philidelphia Facebook group. Check out upcoming events near you. We can’t wait to see your beautiful faces. Red Nose Day at Honeygrow! Red Nose Day at the Phillies! Looking for more information on fundraising? Go here.